Villa Ferida is a small paradise for those who are looking for a relaxing and luxurious holiday placed near the likes of Positano, Amalfi, Ravello, Vietri. These are just some of the villages which can be easily reached from villa Ferida. August and September offer some of the most interesting events like the Ravello Festival, in the splendid setting of Villa Rufolo and its charming belvedere. Amalfi and Positano are famous worldwide for the seaside and their picturesque streets, while Vietri takes the lead with its colorful ceramics . 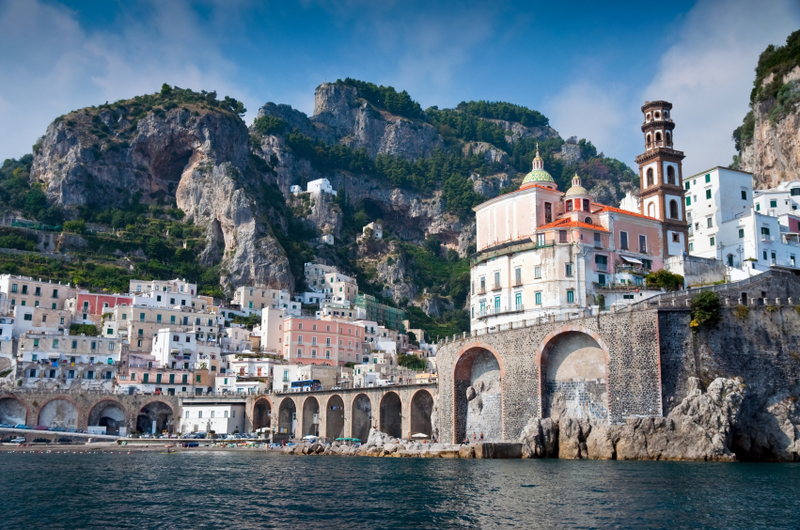 Moving away a bit ‘from the coast then, you can visit the cities of Salerno, Naples and Pompeii, which are all rich in history and culture. All the nearby islands are easily accessible too. The refined Capri, for example, an exclusive pearl of the Mediterranean offers many events, both in the evenings or during daytime. Many colors, scents and flavors welcome visitors as they arrive. Staying at Villa Ferida helps you to make every moment unforgettable.